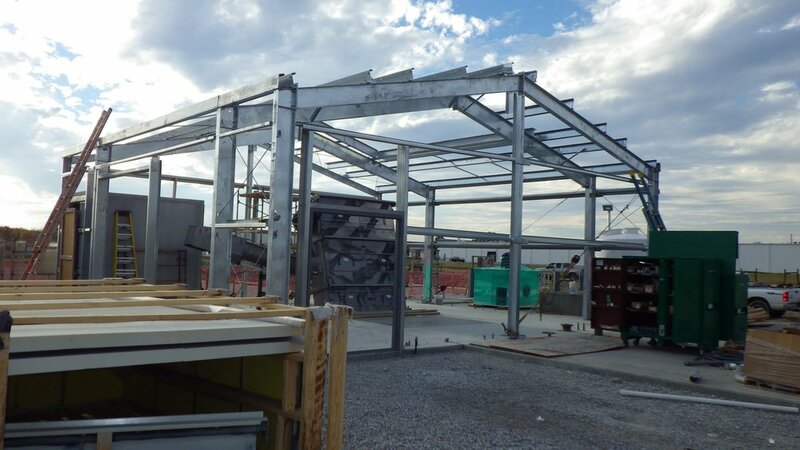 Buechel Basin Wet Weather Facility — Cornerstone Engineering, Inc. Cornerstone was responsible for the design and oversight of this project that, in total, encompassed three storage basins of different sizes (4.5 million, 12 million, and 108 million gallons). Cornerstone designed the reinforced concrete wet well structure and the concrete walls and slab for the 4.5 million gallon storage basin. High water table conditions resulted in a challenging rock anchor design to counter the structure uplift. A 7.5 ton monorail crane steel support structure was also designed to allow removal of the main wet well pumps. All structures were constructed mostly below grade with some reaching depths of over 30 feet. All waste/storm water containment structures onsite were designed per ACI 350 code. During the construction phase, Cornerstone performed Construction Management services by reviewing and processing all submittals, RFI’s, RFQ’s, invoices and change orders.